1. Drink lattes at the Coffee Fox. 2. Sit on a bench in each of the city squares. 3. Cruise the Savannah River on a riverboat. 4. Taste candy at a local candy shoppe. 5. Take a stroll down beautiful Jone's Street. Is there anything that we should add to that list? 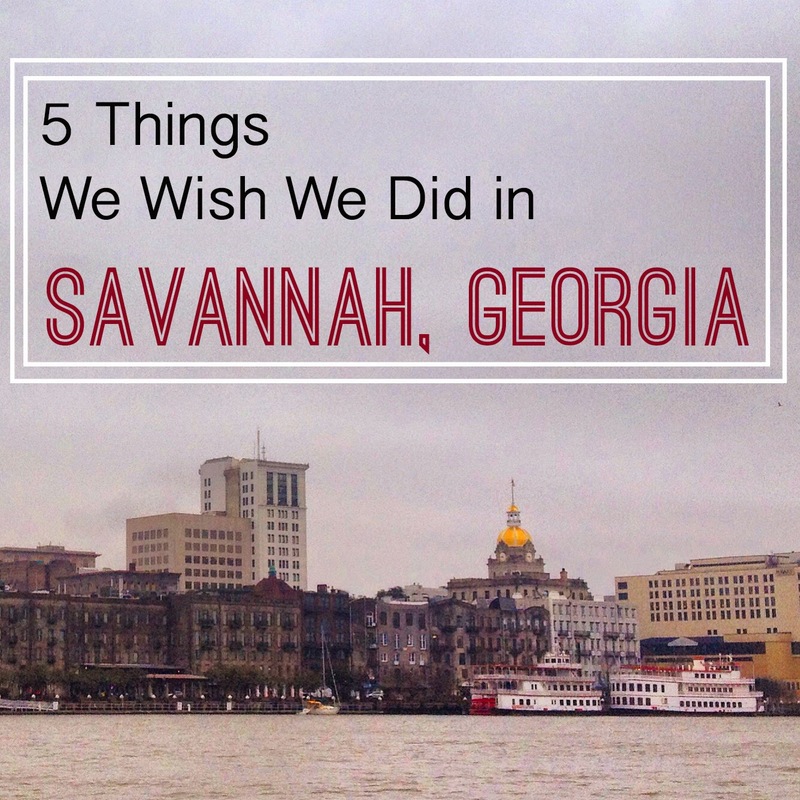 I've never been to Savannah but these sound like great activities I'd want to do. We're going to Atlanta in 2 weeks for an overnight trip on our way to FL :) We may have to also head over to Savannah after seeing all your GA inspirations! Thanks for the ideas! I would love to go to Savannah someday. I've heard lots of great things about it! Cruising down the Savannah river on a riverboat sounds like a must for sure! I love Savannah, I use to visit a lot more. You should go one year for the St. Patrick Day Festival. Unfortunately, they don't dye the river green anymore, but it's still a great time!